As I was relaxing at my home on a Sunday morning, I received my first clue. It was small blue box with #SniffSniff written on it. Inside was a nose clip. 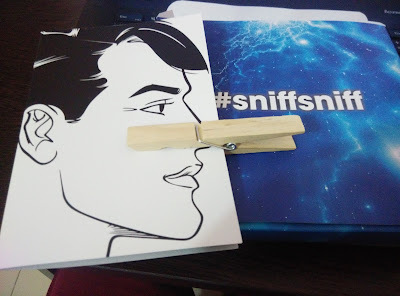 The letter in the box has the following “Clothes clips are for the clothes line, not your nose”. So my first guess was that it is a deodorant or a soap. As for some whacky guesses I was thinking on the lines of scented clothes. With the kind of products in the market, you never know right. The second clue that I got actually took me off the track a bit. It was a bag of coffee beans. The letter with it said “An easy way to neutralize odour is coffee beans”. Well it actually made sense. The strong aroma of coffee beans actually blocks every other smell around you. 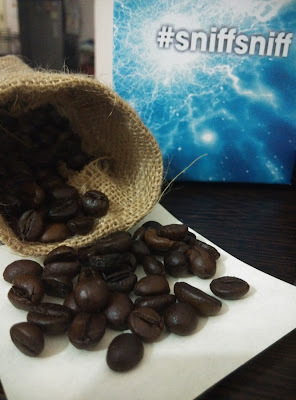 On sharing it with my friends, one of them told me that in perfume testing, they use coffee beans to remove the smell of a perfume before the testers smell the next perfume. I once thought that it could be a coffee scented deodorant or perfume or a soap. Though coffee scented soap sounded a bit weird. So I ruled that option out. Then I received the third clue, a face mask that people use while driving to fight the pollution. So I was almost sure that the product is a deodorant and was waiting for the final product to arrive at my place. I had kept all the clues on my desk before the final product reached me. 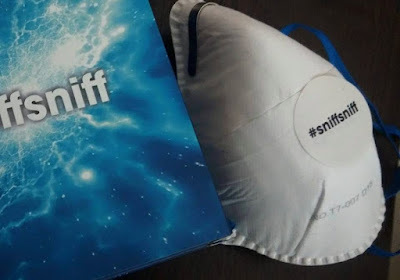 The 3 items on my table indicated 3 ways to prevent you from smelling body odour. 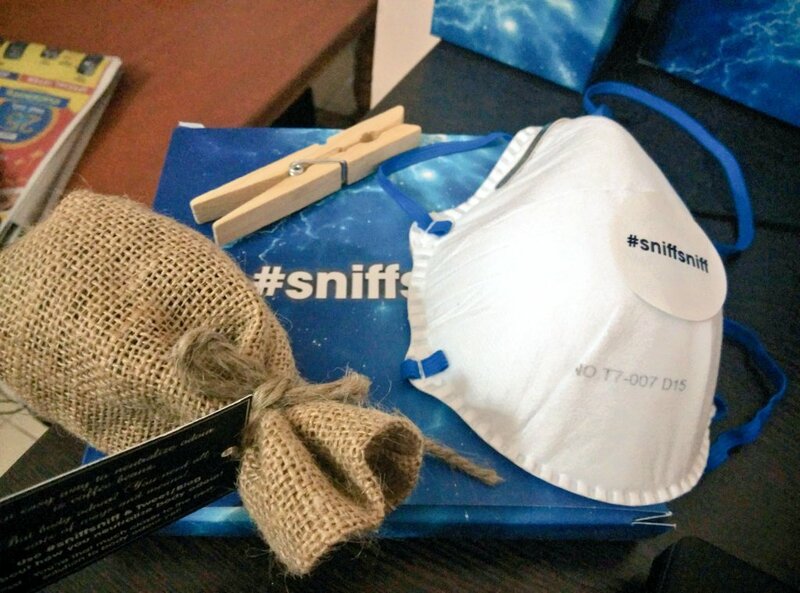 One was to block your nose with a clip, second was to keep smelling coffee beans and third was to wear a mask. 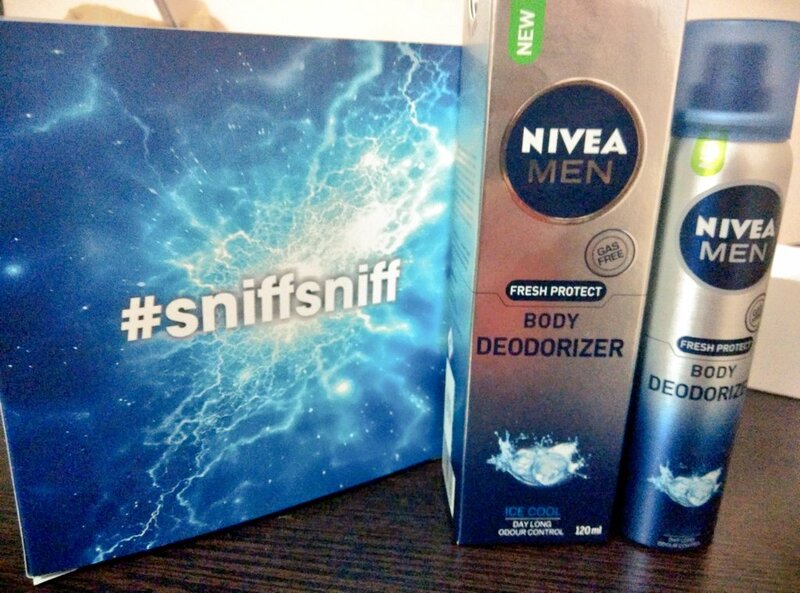 But the final product that blogadda sent was a simple solution to #BanBodyOdour – The newly launched Nivea Men Body Deodorizer (Yes, not a deodorant but a deodorizer). It’s a pretty cool way to combat body odour. Used it for the first time today and I must say that it does feel different!